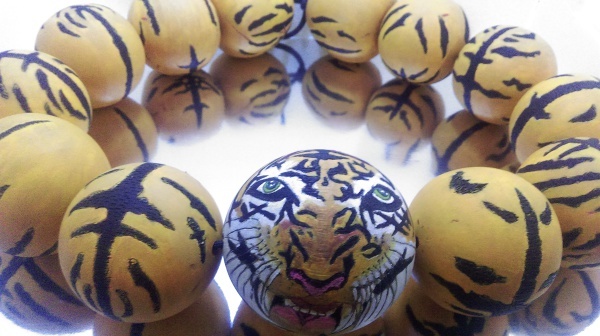 This stunning tiger design is a detailed necklace of tigers rapped around your neck, ready to devour the looks from all who gaze upon those green eyes! (Used 2 1/2 beads and 3-inch bead in the center). 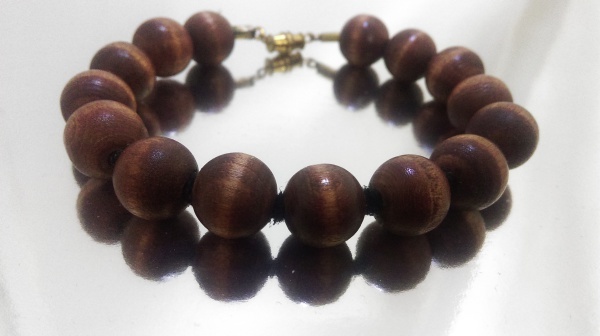 Plainly beautiful mahogany stained wood bead bracelet. No carvings, just naturally simple. Nickle free silver pieces (clasp). 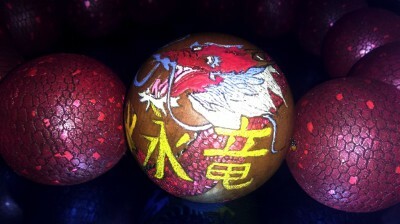 (1/2-inch beads used). 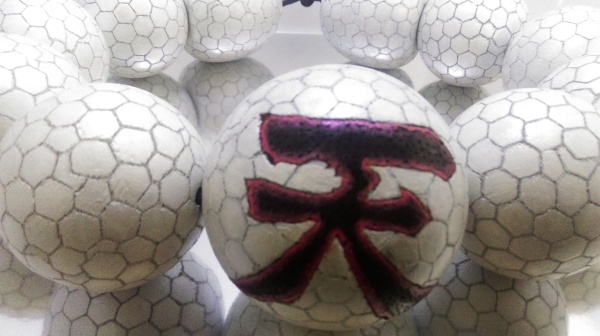 "Ten" symbol carved on center bead, and a cherry stain has been applied. 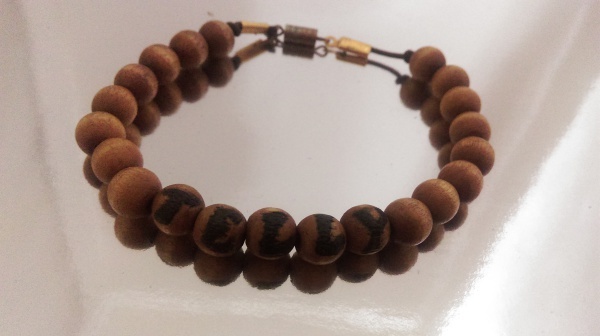 (1-inch wood beads used). This design is derived from my love for the character "Gouki" (Akuma) from the Street Fighter video game. It is accented with small half circles carved throughout each bead. 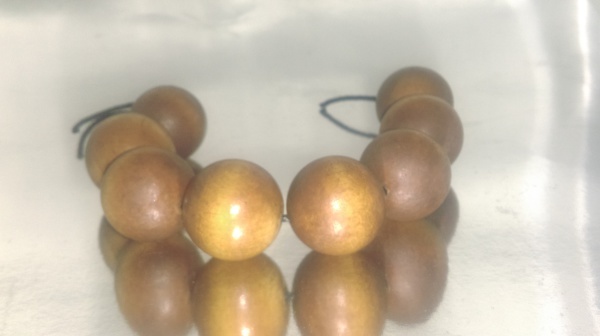 (Used 2 1/2-inch beads and 3-inch bead for center). 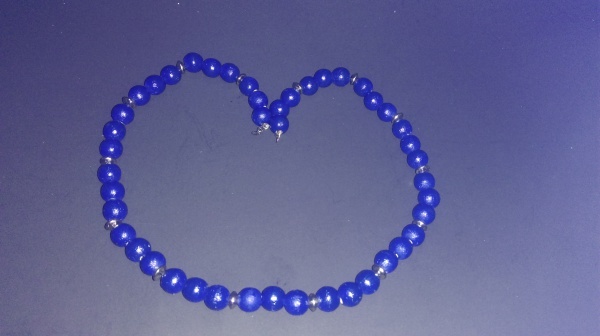 Royal blue colored wood beads with silver accent beads that are nickle free. (1/2-inch beads used). 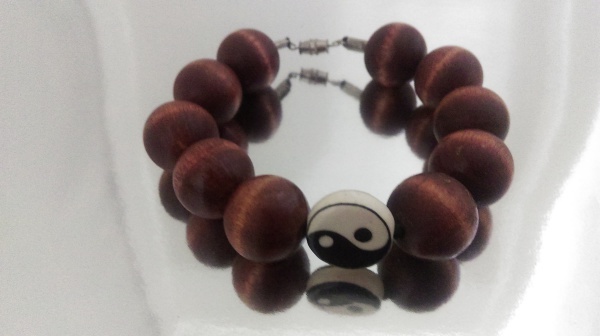 The Yin-Yang symbol is carved into the middle bead. 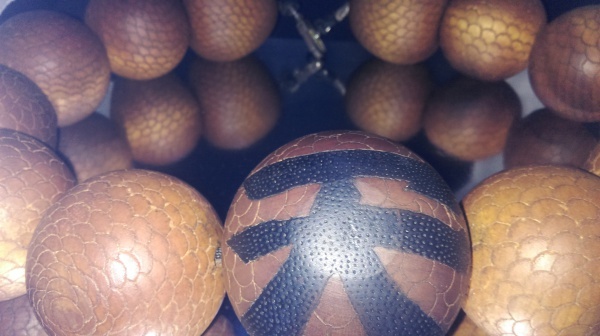 The beads are stained a rich mahogany. Nickel free silver pieces (clasp) are used. (3/4-inch beads used). 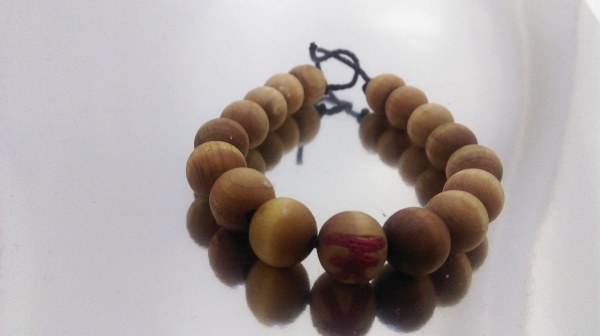 Cherry stained wood beads, middle bead is a non-wood Yin-Yang symbol. Nickel free silver pieces(clasp). 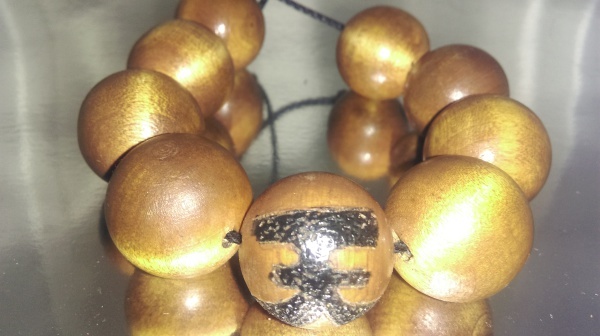 (3/4-inch wood beads used). 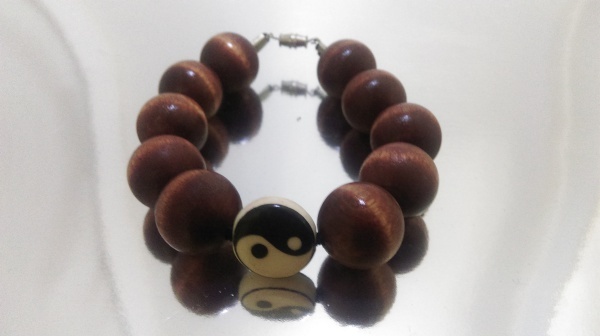 Mahogany stained beads, and middle bead is a non-wood Yin-Yang symbol. Nickel free silver pieces (clasp). 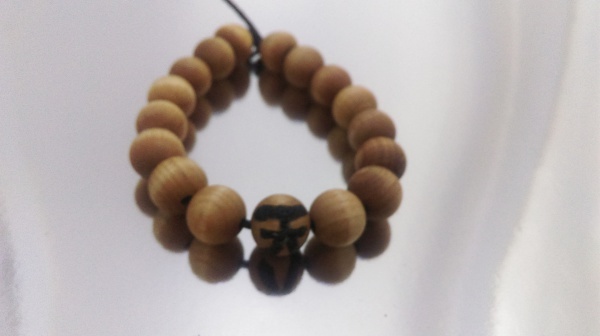 (3/4-inch wood beads used). 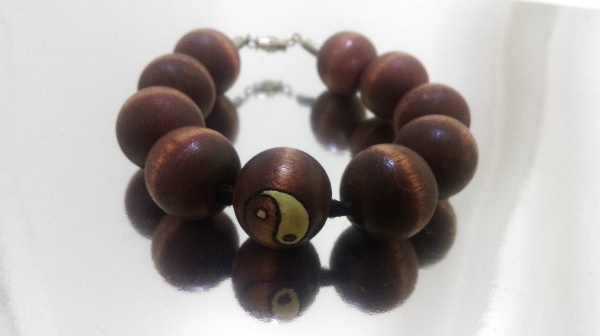 Mahogany Stained beads, middle bead is a non-wood Yin-Yang symbol. Nickel free silver pieces (clasp). 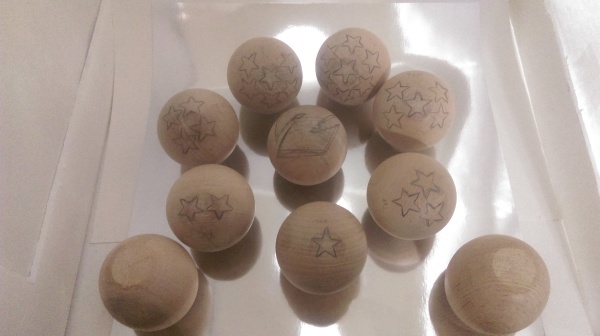 (3/4-inch wood beads used). 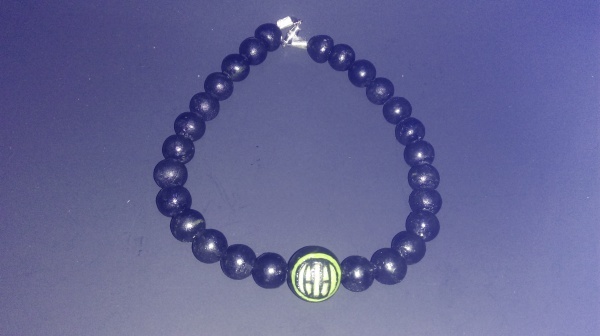 Black painted wood beads, with the middle bead having a unique design. The design is carved, and colored with a light green. Nickel free silver pieces (clasp), cord is stretchy. (1/2-inch beads and 3/4-inch used for center bead). 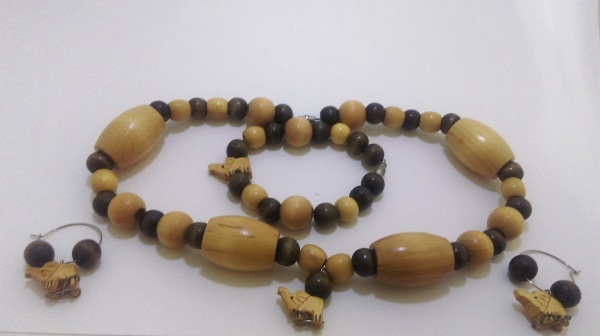 Wooden Necklace, Bracelet, and Earrings with light and dark stained wooden beads. Little wooden elephants are an added accent to this delightful set. Nickel free silver rings used for the earrings. 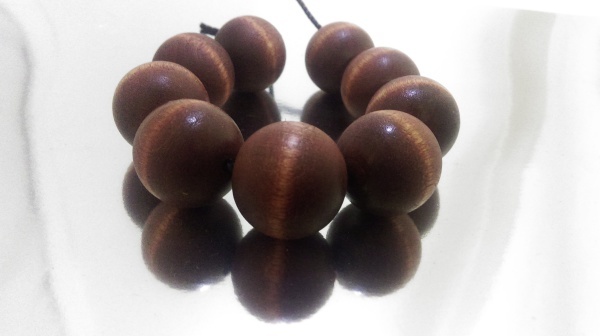 Mahogany stained wood beads, no carvings, just plainly beautiful. (1-inch beads used). 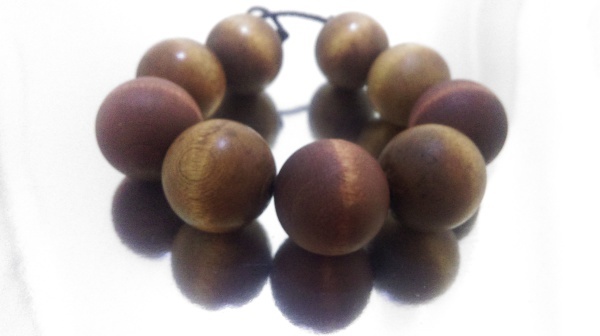 Cherry stained wood beads, no carvings, just plainly beautiful. (1-inch beads used). 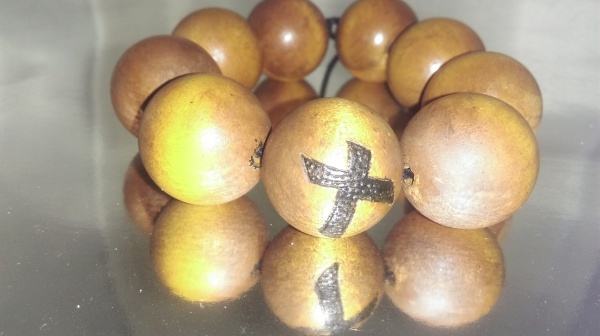 Cross carved into the center bead, cherry stained beads that are naturally beautiful. (Used 1-inch beads). 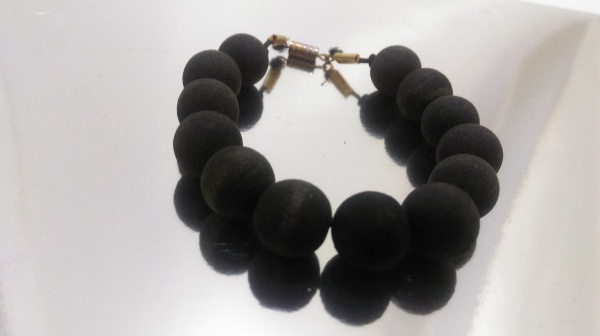 Colored black wood beads with no carvings. Nickel free gold pieces (clasp). (1/2-inch beads used). 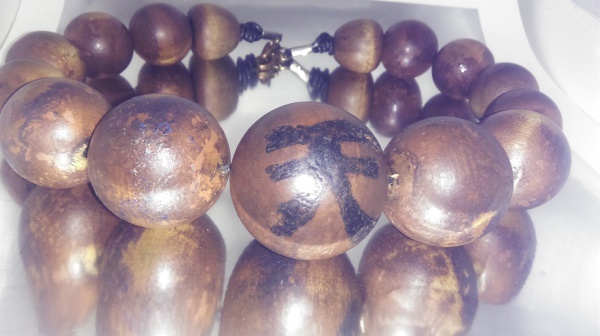 Cherry stained wood beads, with the letters T, E, L, L, Y, carved into each bead. This is just a sample, Your name could be here! (Beads are 3/8-inch, less than 1/2 inch). 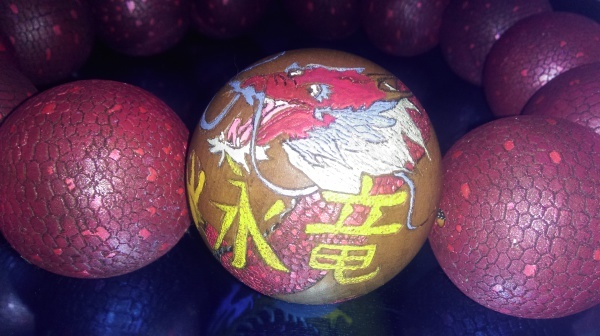 Design in Progress-Created and Designed to resemble the Dragon Ball Z balls. Colors will be golden yell, with a metallic red on the stars and letter Z. (2 1/2 beads used).